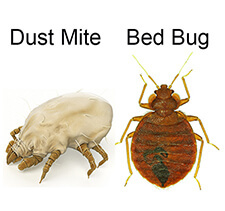 Why they are called bed bugs is a mystery that has plagued mankind for countless generations. Actually that’s a lie, their name is as straightforward as they come. They are bugs that are commonly found in your everyday bed. Cimex lectularius is the scientific name of the Common Bed Bug, where Cimex translates to ‘bug’ and lectularius translates to ‘bed’ or ‘couch’. Even though they are named bed bugs that is not the only place you will find these blood sucking pests. They can be found throughout your house in couches, bedside tables, desks, crevices in the walls and floors or in your clothing. However, as they are known as mainly nocturnal feeders. They like to live near their food source, the blood of a sleeping unsuspecting human. This is why they can be found in plague numbers in your mattress and bedding, and have been gifted the name of the bed bug. Bed bugs aren’t restricted to your everyday home, they have become a growing problem on any type of human dwelling, including shelters, barracks, hospitals, hostels and cruise liners. Any place where people will congregate and rest overnight during their feeding time. Bed bugs obviously didn’t always live amongst your household bedding and furniture. It is thought they first started coming into contact with people when our ancestors lived in caves. These caves were also inhabited by another potentially blood sucking vermin, bats. Once man moved into life in a cave, bed bugs found another victim that could be a valuable food source. Bed bugs moved from their main food source being bats to the tasty human. As man moved from caves to villages and then cities, the tiny bug followed their food source into your home and settled for their preferred habitat in and around your bed. If you would like to view our multiple options for bed bug barriers click here.